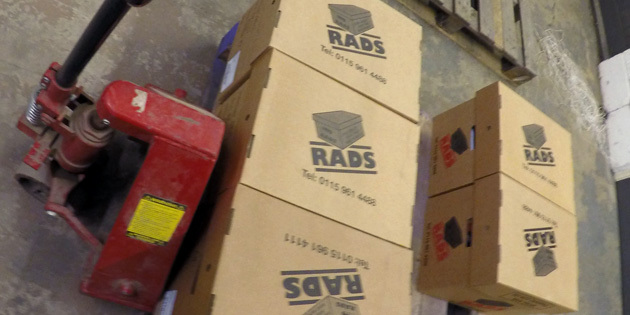 Having been established in 1993, RADS have been providing various services to businesses within Grantham and the surrounding areas for many years. Our range of fantastic services includes document storage, document scanning and document shredding, all of which bring fantastic benefits to all of our clients. We work with all kinds of different documents and data, helping to make the most of office space and saving time that can be better focused towards work. We create great ongoing relationships with businesses within the Grantham area, tailoring our services and the way that we work to their individual needs, enabling them to make the most of our services and what we can offer. 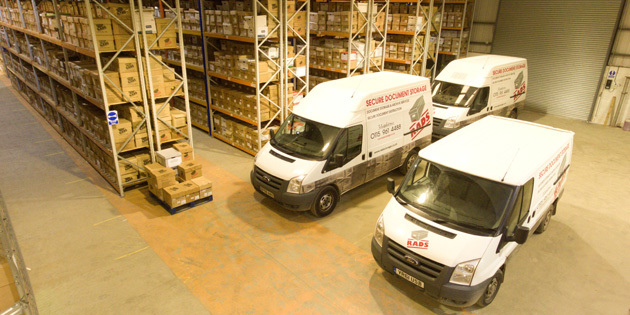 We provide a fantastic document storage service to businesses within Grantham and the surrounding areas, collecting their documents for free and transporting them to our secure location that is protected by CCTV. Create more space in your office by having less clutter and paperwork. You can save money with our free document collection and return. Avoid security risks and theft by storing documents remotely. How and where are your documents stored? Our 24/7 CCTV monitored base is secure with a double-gated entrance. Need to find a document? 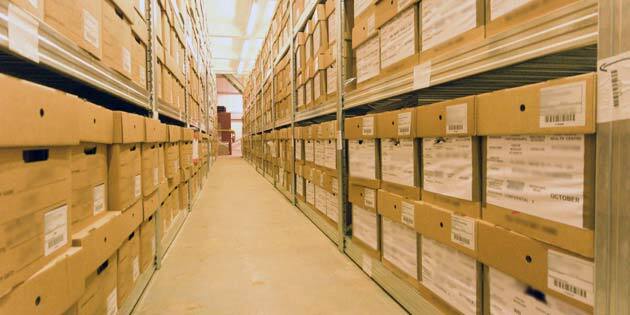 Our unique management system lets us track and locate your documents in our warehouse. 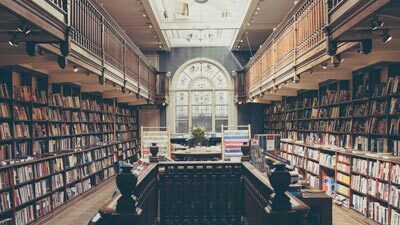 Many businesses often have documents in their office that they may not need, taking up valuable space that could be used for more beneficial purposes. 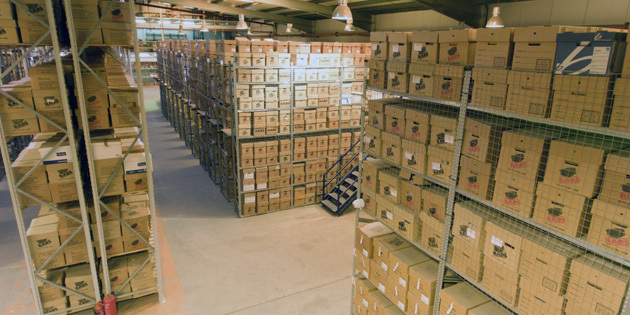 That is why we provide fully secure storage of your documents, using fire retardant boxes that are scientifically designed to be stored in a specific protected way within our premises. We also make use of our very own management system to ensure that we can always track and easily locate individual boxes, through the use of barcodes. 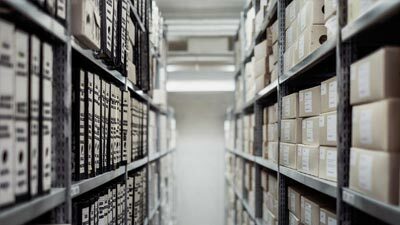 Document storage Grantham is very useful to businesses, clearing space and ensuring them that their documents are fully protected, taking the responsibility away from them. Interested in knowing more about our document scanning in Grantham? Feel free to get in touch by phone, email or fill in our contact form. 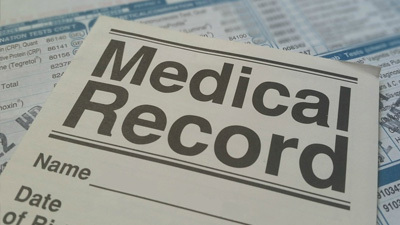 As the world develops technologically, some businesses are a bit behind the times and have all of their documents and information paper based. 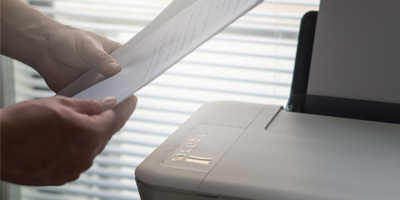 For many businesses in Grantham, making use of our document scanning service means that they can develop their business and have all of their information digitised to be able to use it in a much better way. We are able to collect your documents for free by using our specialist fleet of vehicles, securely transporting them to our protected premises. After scanning your documents, we will give you quick and easy access to them digitally for you to be able to use them whenever necessary. After the process is complete, we will then return, store or destroy your documents, as per your instructions. Document scanning Grantham is a great way for businesses to digitise their documents, saving space and giving them quick access to the documents that they really need. Many businesses work with paper based documents and data on a daily basis for their work, and so when projects finish or customers leave their company, there can often be a wealth of documents that need to be destroyed in the correct way. 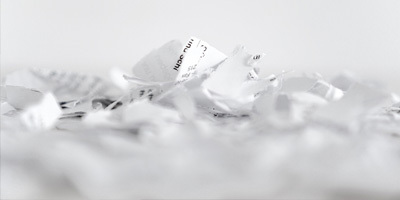 Grantham based businesses can benefit from our document shredding service, destroying any unwanted documents or sensitive data of former customers, seeing through the duty that the business has to fully destroy such information. 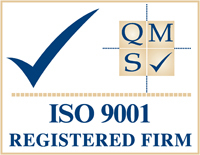 Once we have written instruction from you through a pre approved contract, we will collect your documents for free and our professional team will use their expertise to completely destroy the documents, in a controlled and confidential environment. Document shredding Grantham is used by many businesses within the area, providing them with a comprehensive way of fully destroying relevant documents. Our business is very passionate about implementing the services that we provide to our clients to the best of our ability, as well as providing great customer service at all times. If you feel that your business could benefit from our services you choose to request a quote or if you would like any further information, please don’t hesitate to contact us.